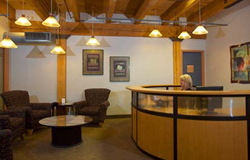 Union Plaza offers excellent amenities to tenants, and guests. 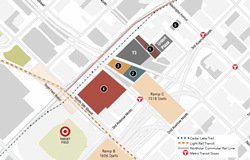 Excellent parking, easy access to bus lines, light rail, Northstar Rail, bike trails, skyway, and much more. A staffed Officenter for your on-demand office needs. Not to mention local restaurants such as J.D. Hoyt's, Monte Carlo, and The Loop. Union Plaza offers excellent rates for monthly contract parking. For more information, please contact us. Union Plaza offers parking for your clients, customers, and visitors for up to 2 hours. Union Plaza is proud to host a revolutionary office-on-demand service called Officenter. More information can be found at the Officenter website. 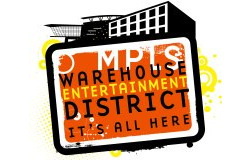 For more information about the neighborhood, visit the Warehouse District website! Union Plaza is surrounded by one of the best public transit systems in the US. 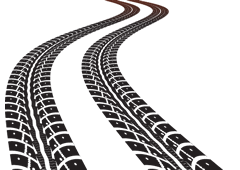 Click on the picture for a map of the Metro Transit bus line map. 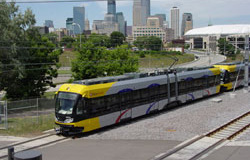 Ride the light rail from Union Plaza, all the way down to the Mall of America! Union Plaza is located near the largest skyway system in the world, covering over 80 blocks. 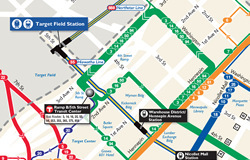 For maps or more information, please refer to the Minneapolis Skyway website. 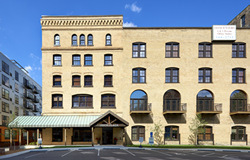 Union Plaza is adjacent to the Northstar Commuter Rail Line, offering 51 miles of transit from Big Lake to downtown Minneapolis. 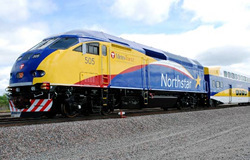 More information about the line is available at the Northstar Commuter Rail website. 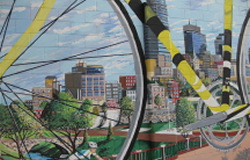 Union Plaza is located next to many popular bike trails, more information can be found at the Bicycling in Minneapolis website.